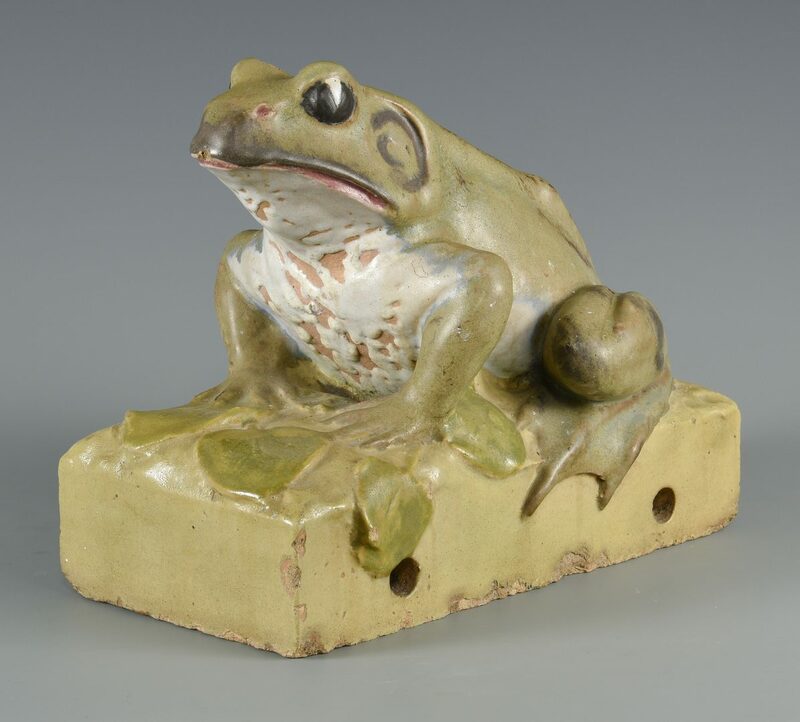 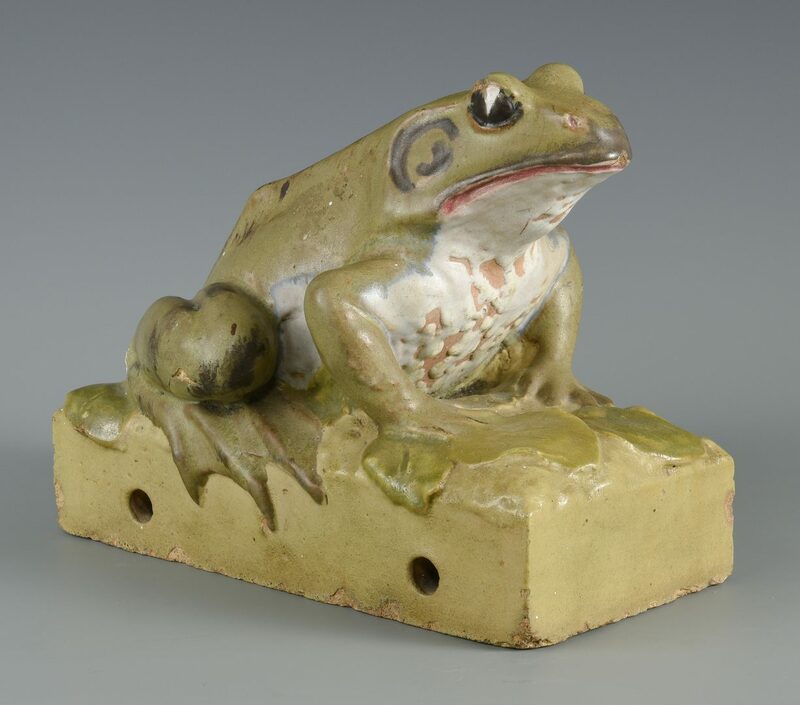 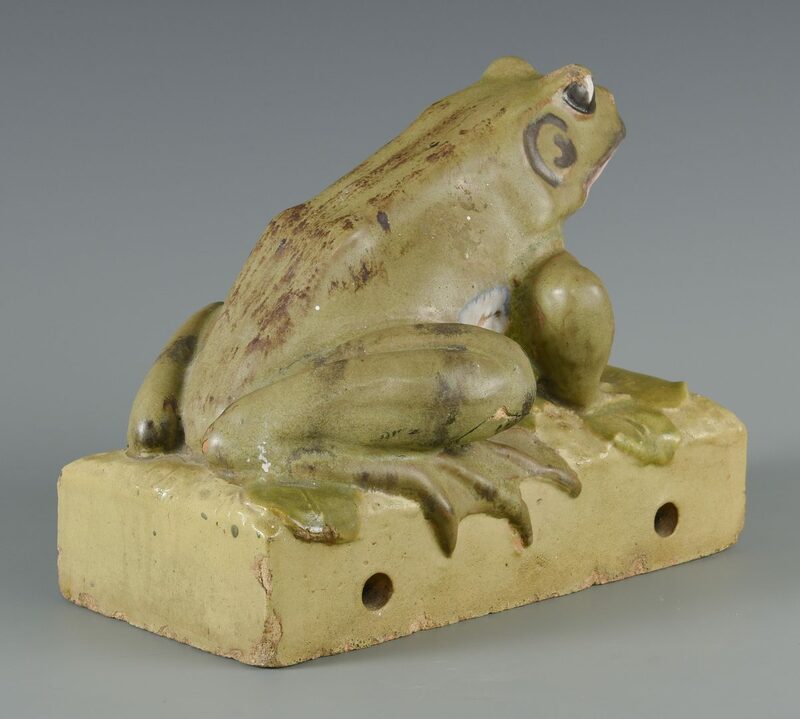 Large Weller type art pottery garden frog modeled sitting on a rectangular base with lily pads. 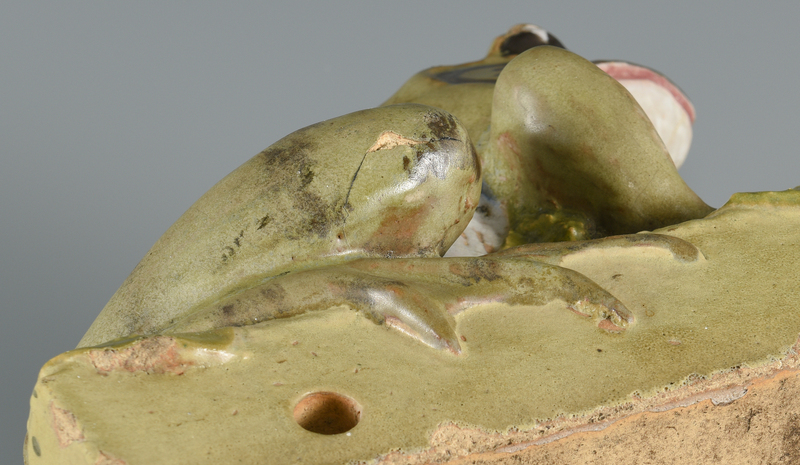 Green and white glaze with black eyes. 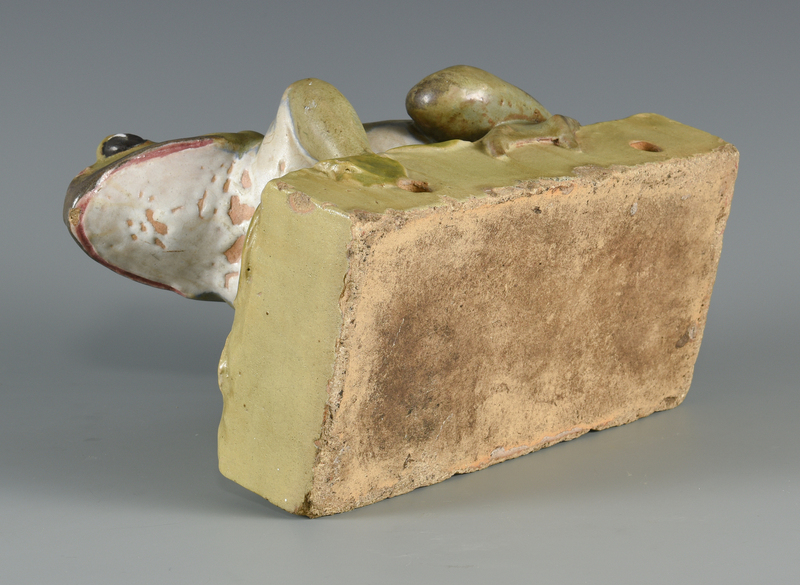 8 1/4″ H x 6 1/2″ W x 10″ D. 1st half 20th century. 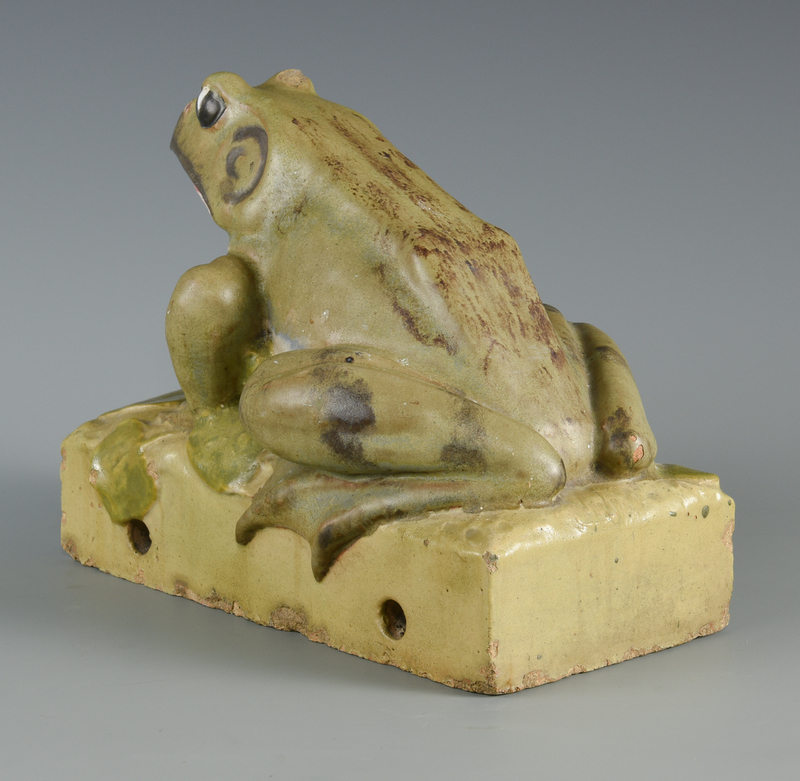 15.6 lbs CONDITION: Scattered chipping to eyes and mouth, corners, edges and base.